Winning $150,000 marks another successful poker business trip. I just got back from playing poker up in Vancouver. I have been spending a lot of time playing more HU PLO these days, it seems there is massively more action there then there is in No Limit by comparison. So with that in mind I took a 4 day trip up to Vancouver to get some action. I also was renting a condo up there, so I needed to move all of my stuff out and deal with all of the fun parts of having to travel so frequently to play online poker. My Graph of the trip looks like this. As you can see, I did well despite a somewhat poor start. I played most of these hands over the course of 1 day really, where I played an epic 24 hour straight session. About 12 hours in, around hand 1500, I was stuck aproximately $40,000. But I buckled down, grabbed a Venti Iced Cold Brew, and readied myself for the coming storm. I dont get a chance to play poker as much as I would like nowadays. I guess that is part of becoming an adult and having more on your plate. But when I do get that chance to put in a session, I want to show people what im made of. I ended up primarily playing two opponents at 50/100 PLO. One named “Fjutekk” and one named “D2themfi”. These are both strong regulars who consistently play in some of the toughest and highest stakes online. These werent pushovers. The biggest pot that I had over the course of the weekend was acutally vs Fjutekk. This pot was a pretty crazy hand. The flop I thought I had a pretty strong hand with top two and an gutshot to the nuts so I decided to bet there. The turn is where things started to get a bit dicey. I pickup a flush draw to go with my hand. I decide to bet the full amount of the pot (the maximum! ), hoping to see my opponent call my large wager. Instead however, he decides to raise the full amount of the pot. Here I think it is very likely he has 87 for the nuts…. But thats the great thing about plo, I can call knowing he has that! I win on a J/9/Q/club. That is 15 cards I can still win on despite being up against the nuts! So I decide to call and manage to hit one of my full house outs to win this 50k pot. This hand might be an example of why a lot of people dislike plo, and I can totally understand why. Its not for the faint of heart. But if you decide its worth trying your hand at the game, maybe you can make your own run to the high stakes there too! Overall it was a good trip to Van City. I am planning on taking more of these trips in the new year. For now though, its back to Vegas, the bellagio five diamond is starting up and I wouldn’t want to miss the action there. If you see me there, feel free to drop by and say hello! I would love to meet the community that we are trying to reach out to, as well as hear your guys input for what YOU want to see us do. 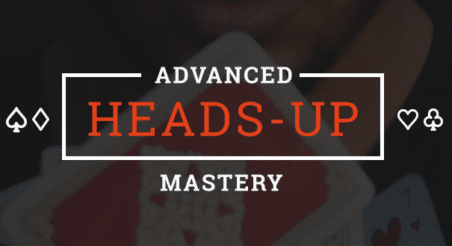 ← Meet the Upswing Poker Team!